(Garland, TX) –Under the auspices of HSM Hwy 66 Storage LP, Henry S. Miller Companies developed a Class-A storage facility located at 1200 Highway 66 in Garland, TX. 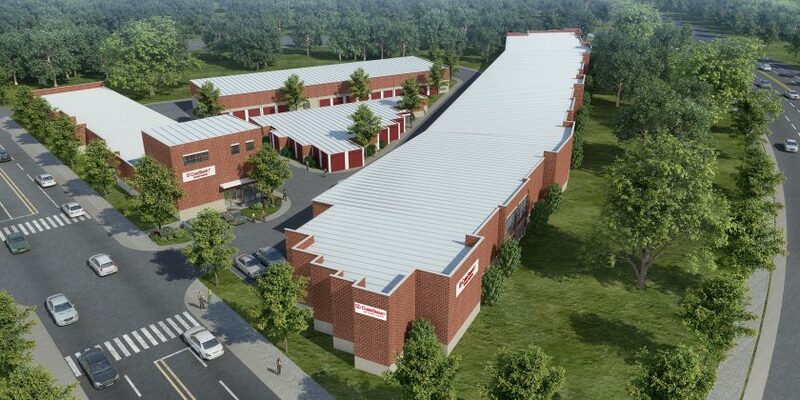 CubeSmart, a publicly traded company (NYSE: CUBE) that owns or manages more than 672 self-storage properties across North America, will professionally manage the facility, which has 763 units, both climate-controlled (673 units) and non-climate-controlled (90 units). Located at the intersection of Highway 66 and Hebron Drive in Garland, the entire facility encompasses 77,000 RSF in four buildings, two of which are one-story and two of which are two-story. There are interior and drive-up units, state-of-the-art security and controlled access, a manager’s office and an apartment. An Open House for the new Cube Smart storage facility in Garland is scheduled on May 7, 2018 from 11am to 2pm. CubeSmart will provide sandwiches and soft drinks. Chris Storm, Vice President in the Investments Division of Henry S. Miller Brokerage, will be on hand conducting tours of the facility. Chris Storm, Vice President in the Investments Division of Henry S. Miller, specializes in the development and sales of self-storage facilities. Over the course of his real estate career, Chris has brokered, managed and developed retail, office, multi-family, industrial and self-storage properties. He also has experience in both residential and commercial land development.